Taiwan’s HTC has unveiled an updated version of its 5-inch Butterfly smartphone that comes equipped with a bigger battery, more powerful processor and the company’s BlinkFeed homescreen. The Butterfly s, introduced Wednesday, appears to have the same build as its predecessor, the Butterfly J, and uses a 1080p 5-inch screen. But this new version features a Qualcomm Snapdragon 600 1.9 GHz quad-core processor, and a longer-lasting 3,200 mAH battery that HTC is emphasizing in its marketing. HTC claims this gives the phone 3.5 days of continuous music playback, according to a video it released. The Butterfly J, in contrast had, a 2,020 mAh battery. 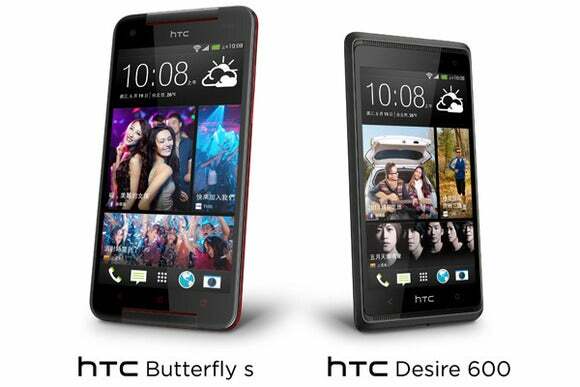 The new smartphone runs Android Jelly Bean, and comes loaded with the latest version of HTC’s Sense user interface. Like the company’s HTC One flagship device, the Butterfly s also brings news, video and pictures through a content feed service called Blinkfeed on the phone’s homescreen. It’s also fitted with HTC’s new ”ultrapixel” camera that was designed to capture sharper images than rival camera phones. HTC declined to provide more information. But the Butterfly s will arrive in Taiwan this July with a price of NT$22,900 (US$766). The Butterfly J, launched in Japan in October. HTC then brought a similar device, called the Droid DNA, to the U.S. a month later that launched through Verizon Wireless. Reviews of the Droid DNA praised its design and high-quality screen, but also pointed out its underwhelming battery life. On Wednesday, the Taiwanese smartphone maker also unveiled the HTC Desire 600, a mid-tier Android handset with a price of NT$12,900 (US$430). It has a 4.5-inch screen, and a 1.2 GHz quad core processor from Qualcomm. The phone is due to arrive in Taiwan this July.